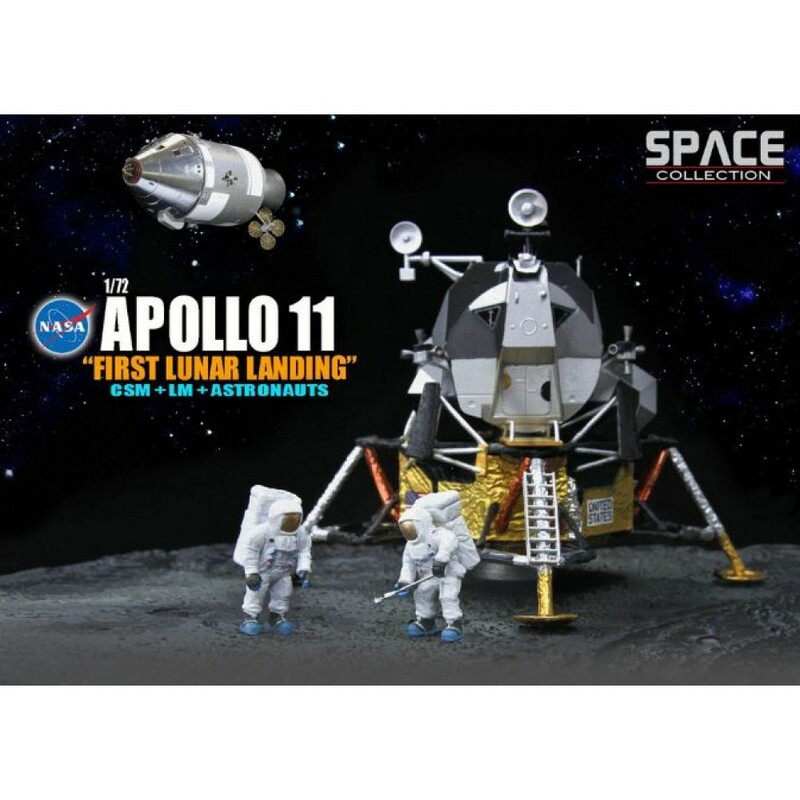 This amazing model is a depiction of the famous Apollo 11 craft and Lunar Module Eagle, which landed on the southern Sea of Tranquility on the Moon. This milestone event was watched by millions of TV viewers, and now you can have this very scene. The accurately detailed Lunar Module model can be displayed on a realistic dioramic base of the lunar surface. 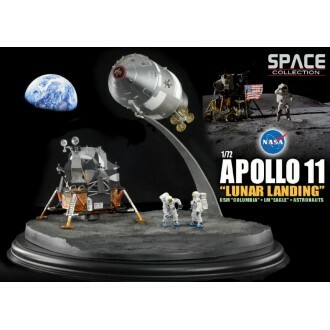 This base even includes details on the lunar soil! 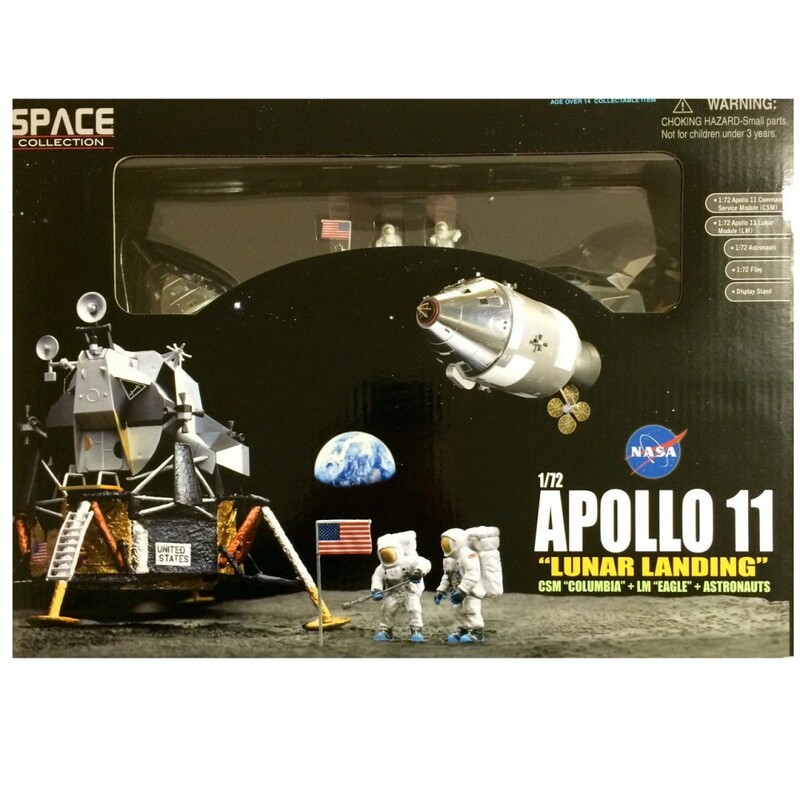 The inclusion of two 1/72 astronauts adds to the dramatic scene. To give an indication of size the Lunar Lander is aprox 9.5cm high and the CSM is 17cm long.